My dad is going to love this card! 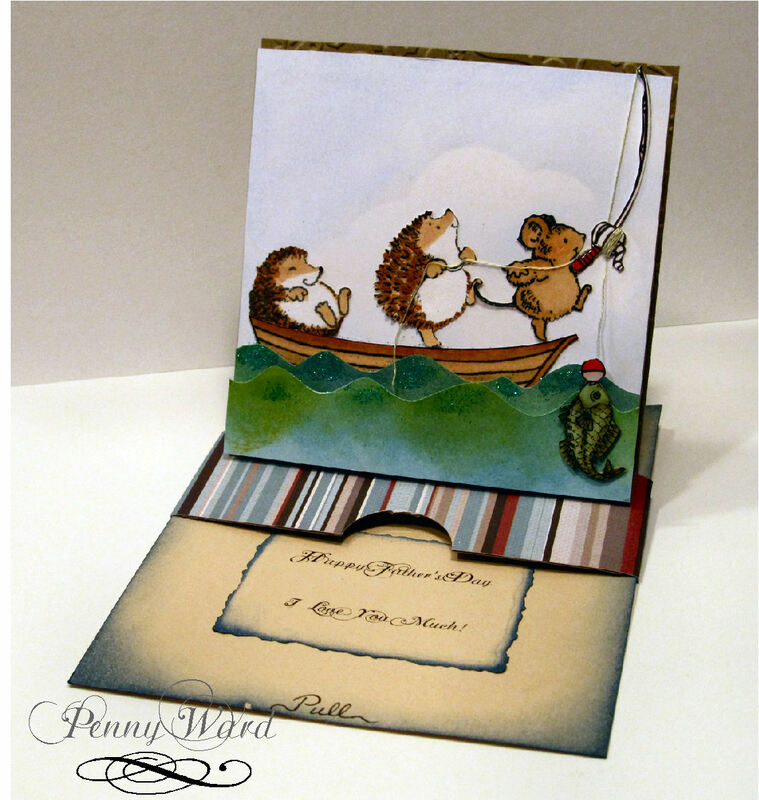 I used the Penny Black Spoolin Around, Holly Jolly and Party Pooped (made the impression backwards) stamps. Thankfully, I found a fishing pole and fish in digi stamps. The waves have been accented with Martha Stewart Fine Glitter and the bobber has Glossy Accents on top. I used Colorbox light blue chalk ink for clouds. Typed the sentiment and die cut with Spellbinders. Fabulous card! I love the little scene you've created! Thanks for joining us at the Penny Black Saturday Challenge! Bet your dad is going to love it, Penny! 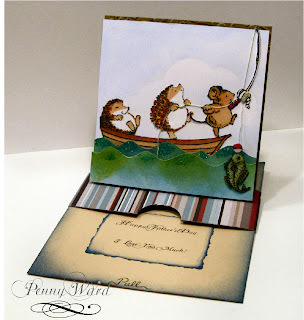 Such an adorable card and love the fishing rod!